Goodreads Description: They all thought he was gone. But he was alive and trapped inside his own body for ten years. 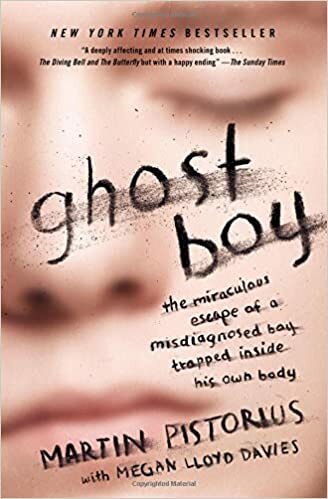 My Review: At the heart of the story of the Ghost Boy lies a fear that lives within many people: being conscious but trapped, paralyzed in your own body. For Martin Pistorius, that fear was a reality for over ten years until caring people and his enormously devoted parents gave him the power to communicate again. The writing style in this book is simple but with an easy flow that keeps the reader emotionally engaged every step of the way. Martin's story isn't filled with long medical diagnoses or the step by step 'recovery' tale; it's how, given the opportunities and resources, a disabled person was able to live the life he'd always dreamed-- and then some. The part that drew me in was getting to see the perspective of someone who has to suffer in silence, like many people in our world still do. When someone can't speak, loved ones can spend hours wondering what's going on in their heads, and this book gives a glimpse of what it's like to be utterly at the mercy of those around you. The story highlights the best of humanity through those who loved and cared for Martin, and also touches on the dark sides only briefly, but with enough intensity to realize the importance of those good people. It is so easy, especially in overworked and underfunded medical and mental health services, for people like Martin to be forgotten. But when you face that possibility through Martin's eyes, the emotional impact is an intense blow. The narrative isn't preachy or depressing, it simply expresses a very real fear of getting left behind, and the hope for something more. The short chapters makes for an easy read. Though the story does leap around within the timeline, each chapter does well at establishing time a place, as well as Martin's level of functioning. 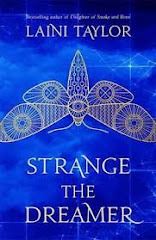 The story progresses smoothly and doesn't linger on too much negativity. It is also interesting to see the perspective on communication from Martin as well. How he goes from ecstatic being able to communicate, to realizing that not everyone has the patience to wait while he spells things out using his devices, to finding those who don't care about that at all. All in all, the insights and perspectives this book has makes this a wonderful and engrossing read. For anyone working with those with disabilities, it is a definite keeper. TL;DR: 3/5 stars. A fascinating perspective with a simple and smooth writing style.